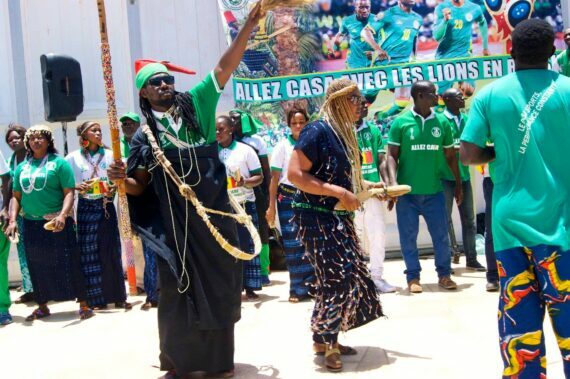 The Senegalese President H/E Macky Sall has promised to increase state support for Dak Art Biennial from 500 million FCFA to one billion FCFA to ensure its development, growth and sustenance. 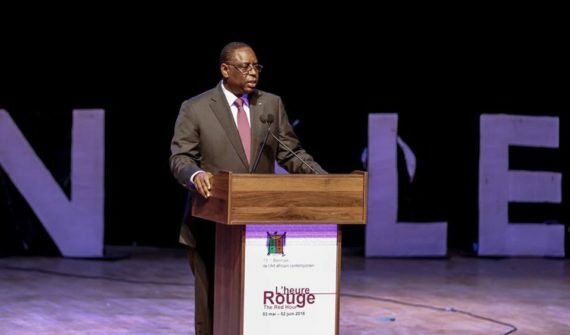 Speaking at the official opening of the 13th edition at the state of the art Grand Theatre in Dakar, he said new modalities for the finance of art and culture are critical due to failure of traditional forms of support in recent years. “I will advocate for more funding for arts and culture in Africa, indeed, I am willing to talk to fellow leaders to recognize the importance of diversifying new ways for the support of culture and actually implementing them” he told a full capacity audience. 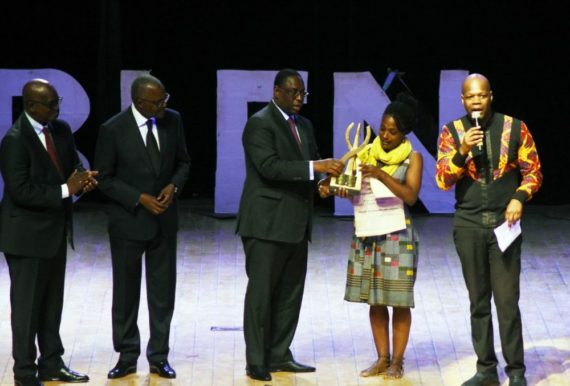 President Sall stated that the “Africa Market Report” recently indicated that top African artists were beneficiaries of art education adding that effective training alongside support from institutions like La Francophonie and UEMOA would be in a good direction. He added that adequate devices such us royalties will be a major step for artists since it will provide benefits for their work and ensure regular income while providing an enabling environment for creativity. “We have lost a number of artists since the last edition of Dak Art – undeniably these artists speak to us through their works. We salute them and commemorate their indelible acts of creativity”, said the president on a sad note as he asked for a minute silence for the departed souls. 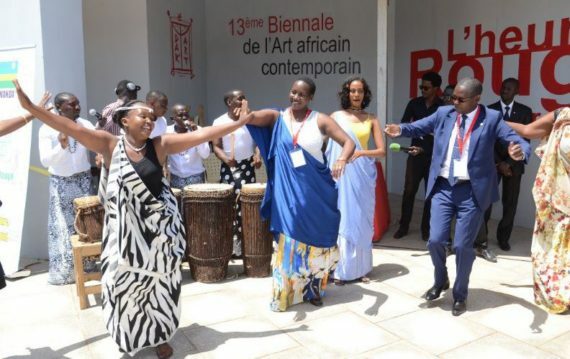 President Sall congratulated Rwanda and Tunisia for being invited as special guests adding although the share of Africa in terms of global marketing of contemporary art is still low; the interest continues to grow all over the world. 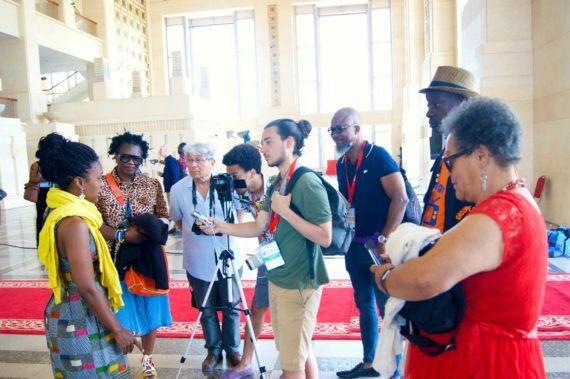 Four artists Leila Adjovi (photographer – Benin), Mehdi-Georges Lahlou (Artist – Morocco), Frank Fanny (Photographer – Ivory Coast) and Tajmosu Oranwaju (Artist – Nigeria) received various prizes for extraordinary works. 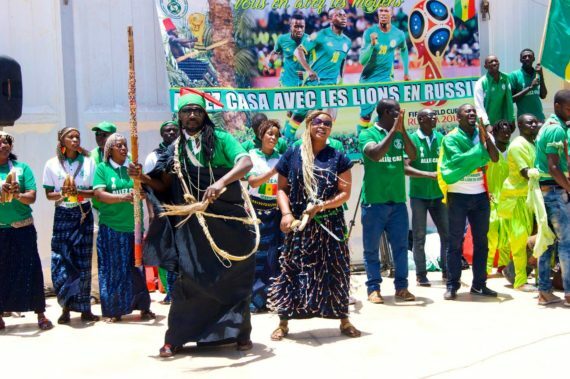 The ceremony was interspersed with diverse performances by groups from various countries, which created a cool blend of the visual and performing arts. Acclaimed Senegalese group Les Frères Guissé delighted the crowd with a series of tunes alongside a magnetic stage poise that drew cheers from the audience. A mass choir conducted by Jean Bakhoum that comprised 350 singers took the auditorium by storm as voices cleaved through the air like birds in flight while the Tunisian violin virtuoso Zyad Zouari surprised the crowd with an amazing skill on the violin. Accompanied by frenzied drumming; Ballet Rwanda showcased some pieces from the East African country that exhibited elements of South African gumboot dance whereas a Senegalese dance company treated the crowd with a choreographed contemporary piece. Dubbed “The Red Hour”, Dak Art 2018, which is being held under the patronage of H/E Macky Sall and the auspices of the Senegalese Ministry of Culture, ends on Saturday June 2.